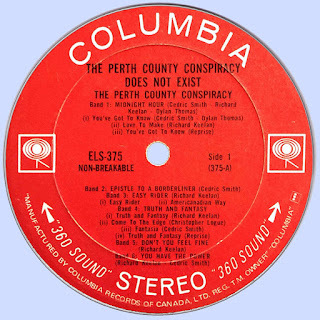 1970's "The Perth County Conspiracy Does Not Exist" released for Columbia and co-produced by John Williams and the band the results were prime hippy-era west coast-styled acid-folk !!! (I'd normally cringe when hearing something like that, but this time around its a pretty apt descriptor. Musically original material like 'Midnight Hour', the CSN&Y-styled 'Easy Rider' and 'Truth and Fantasy' mixed strong melodies and nice vocals from both Keelan and Smith with entertaining if dated and occasionally pompous lyrics. 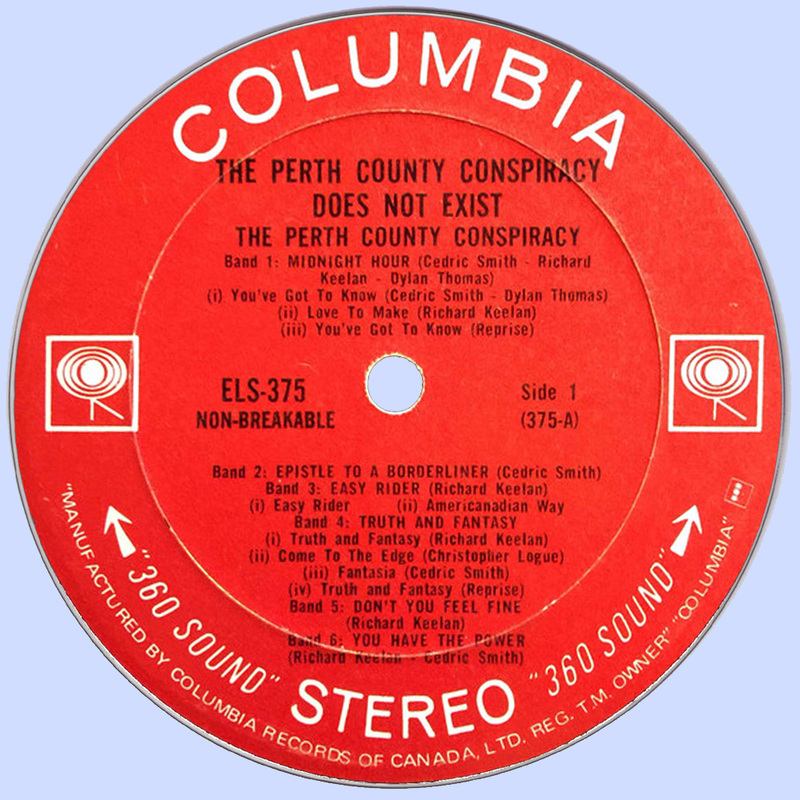 Imagine the International String Band had they copped an English degree and been tough enough to survive in Canada and you'll be in the right aural neighborhood. 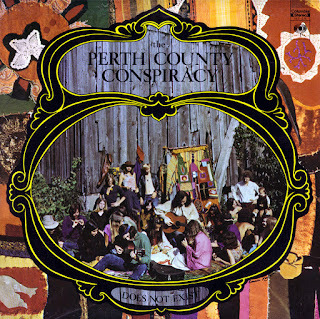 Extra credit for the band's willingness to borrow from the likes of Dylan Thomas ('Midnight Hour') and even William Shakespeare ('Excerpt from "as you like it"'). Best of all is the stunning closer 'Crucifixation Cartoon' ... I can't eve begin to describe how good this track is. The set isn't perfect - the kids reciting poetry t the start of 'Listen To the Kids' is pretty lame, as are some of the spoken word segments and 'The Dancer' is merely dull. Still, maybe because it's so unique this one's definitely a keeper and even more attractive to me given it's an album that you can still find at an affordable price.